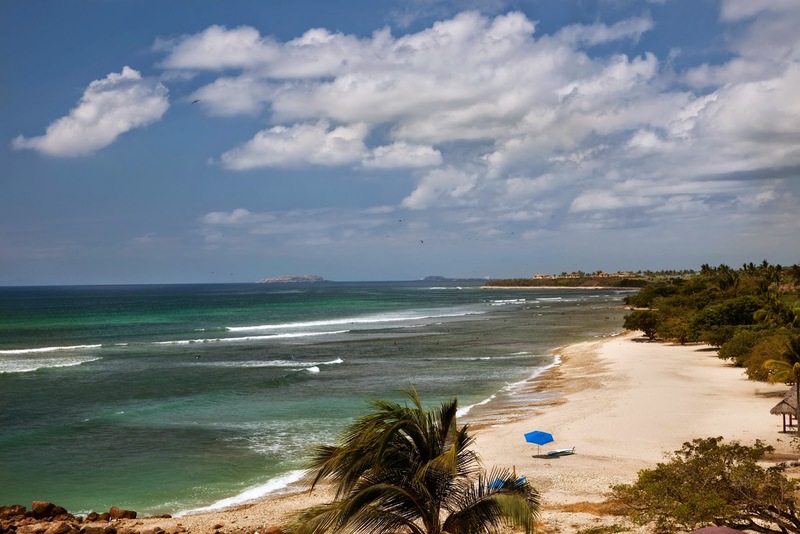 Riviera Nayarit Mexico Blog: Riviera Nayarit Come On Over, The Weather’s Great! Riviera Nayarit Come On Over, The Weather’s Great! Amazing weather is perhaps one of the finest attributes of the Riviera Nayarit. With tropical temperatures hovering at 25°C/77°F, this is undoubtedly one of the best climates from among Mexico’s many beach destinations. This ocean was made for swimming: the water is perfect, no dipping your toe and running away or having your teeth chatter from cold winds as you do the breaststroke. The water temperature in Banderas Bay averages around 17-30°C/62-86°F, ideal for enjoying any of the watersports on your list. Unlike other destinations in Mexico—especially those farther north or farther south—the beaches of the Riviera Nayarit are paradisiacal practically all year round, with a climate similar to Hawaii. In fact, they’re on the same latitude! The wet season falls between June and November, with mostly sunny days and romantic rainy nights. Another plus? You won’t need a wetsuit for surfing! And if you prefer scuba diving, you’ll only need one for a few weeks during the wintertime—and you definitely won’t have to wear a wetsuit for snorkeling! Sailing buffs will find the breezes and winds blow steadily from March to June; just what they need to keep all sails full. This is a great destination for family travel: beach-loving kids will enjoy being in and out of the water, because even though the temperature dips a bit in the wintertime, all they’ll need is a light jacket or sweater. Adults seeking a good game of golf, the challenge of fishing or the lure of birdwatching will find the Riviera Nayarit to be just right year round. It may be a bit hotter during the summer, but nothing a dip in the pool or the ocean can’t make better! There’s no doubt the Riviera Nayarit has it all: luxury, infrastructure, biodiversity, plenty of activities for everyone and, of course, perfect climate! Stay updated: Don’t forget to follow us on our social media accounts and, if you enjoyed reading this newsletter, please share it with your friends and colleagues!